Stuttgart is the capital city of Germany’s third largest state, Baden-Württemberg. Contrary to many of Germany’s large cities, Stuttgart is made up of both densely populated areas, as well as large hillsides, vineyards and parks. The city of Stuttgart is further divided up into 23 city districts: 18 outer districts and 5 inner districts (Central Stuttgart and Stuttgart-North/ South/ East/ West). 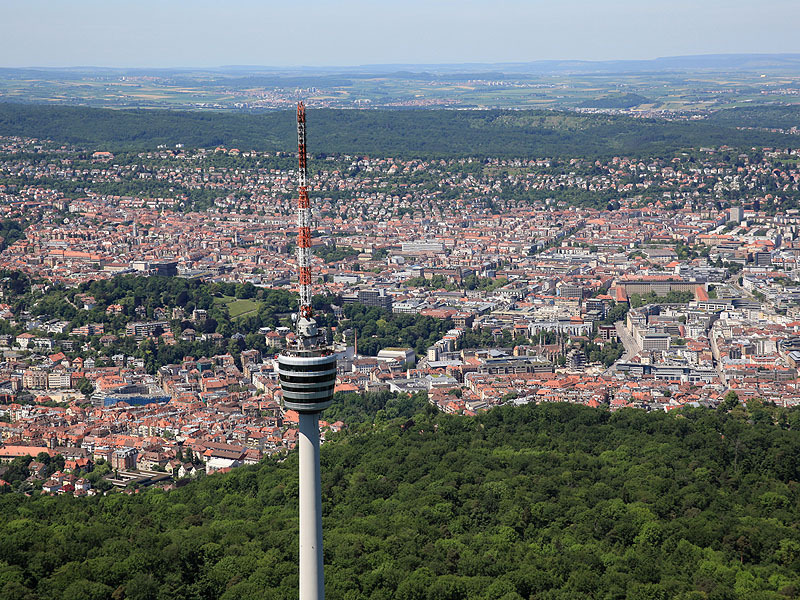 The most famous outer district is Bad Cannstatt, home to Europe’s second largest mineral spas, the Wilhelma Zoo, the Mercedes-Benz Museum, the Porsche Arena and the Cannstatter Wasn (Stuttgart’s famous Spring Festival). Stuttgart’s history dates back to the first century AD when the Romans established a fort on the banks of the Neckar river. The Romans were then pushed back from Stuttgart in the 3rd century by the Alemanni (a confederation of German tribes), after which there is a gap in Stuttgart’s history until the seventh century. Stuttgart as we know it today was established around the year 950 during the Hungarian invasion of Europe. Many years later in 1803, Stuttgart was elected as the capital of the Electorate of Württemberg and after Napoleon broke up the Holy Roman Empire, Stuttgart became the capital of the Kingdom of Württemberg in 1805. Fast forward another few years to the early 1880s and, with Gottlieb Daimler’s invention of the automobile, the city’s population was rapidly increasing. In 1949 Stuttgart, along with Frankfurt, was a serious contender to become Germany’s capital city, but in the end, Bonn succeeded. In 1952 the states of Baden and Württemberg merged together to create what we now know as Baden-Württemberg. Throughout this entire time Stuttgart has remained the state’s capital city. Mercedes-Benz Museum & Porsche Museum – both are equally as fantastic! 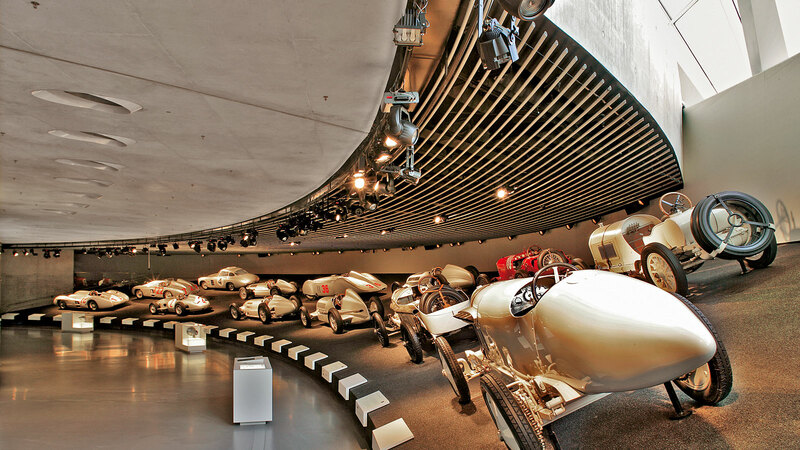 The Mercedes-Benz museum is the only museum in the entire world that can document all 125 years of automobile industry from its very beginnings to the present day. The museum’s 1,500 exhibits are distributed over 9 floors, including 160 vehicles. Visitors are transported to the top of the museum and back in time to 1886 and then work their way down until the present day. The Porsche museum is Stuttgart’s second most popular attraction displaying over 80 racing and sports cars, including some very unusual prototypes. The museum cost over 100 million Euro to build and is a must-see for any Porsche fan! Wilhelma – The Wilhelma was originally built as a royal palace for the Swabian king, King Wilhelm I, and now houses a zoo and botanical garden. It is home to over 8,000 animals representing over 1,000 different species, as well as over 7,000 species of plants. The animals range from gorillas to sea lions, zebras, brown bears, elephants, jellyfish, crocodiles, rhinoceroses, butterflies, sloths, leopards, anteaters, ostriches, wolves and so much more. The Wilhelma also has a strong focus on conservation and preservation. For example, the zoo is a part of the European Endangered Species Programme, it makes annual donations to the Okapi wildlife reserve in the Congo, it runs special guided tours for schools and participates in various projects to release animals back into the wild, provided the new habitat offers enough food, shelter and protection from poachers. The park receives over 2 million visitors every year from Stuttgart, all over Germany and neighbouring European countries. Whilst closing times depend of the month (earlier in winter, later in summer), it opens its gate at 8:15am every day of the year! 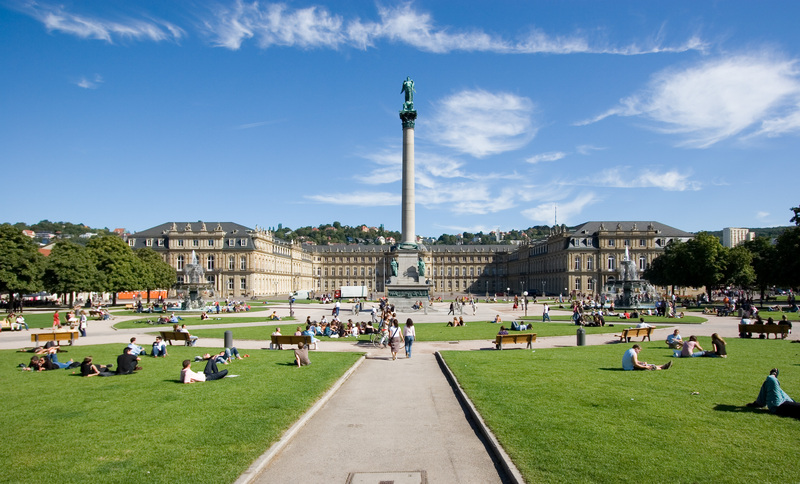 Schlossplatz – The Schlossplatz (Palace Square) is the heart of Stuttgart and home to the new Schloss built between 1746 and 1807. Many open-air concerts are held in the square, using the Schloss as a backdrop, and it is home to Stuttgart’s Summer Festival. It is also adjacent to Germany’s largest shopping street, the Königstraβe, which features Stuttgart’s oldest shopping arcade, the Königsbau. The Schlossplatz is also a great place to hang out with friends, lie in the sun or visit one of the cafes opposite the Schloss. Our top tip: if you’re visiting Stuttgart in summer, grab a gelato from around the corner and enjoy the sunshine on a spot of grass or, alternatively, if you’re visiting in winter, sit at a café, cover yourself in one of the blankets they provide and drink a Nutella latte!